Who Do You Say Jesus Is? Part 19 of our series Jesus Changes Everything - A study in Luke | October 7, 2018 | Pastor Brian Fox | In this message Pastor Brian continues our study out of Luke 9. God wants to know you. Jesus Feeds the Hungry| Part 18 of our series Jesus Changes Everything - A study in Luke | September 30, 2018 | Pastor Brian Fox | In this message Pastor Brian continues our study out of Luke 9. Lost, hurting people Matter to God- and they should matter to us. 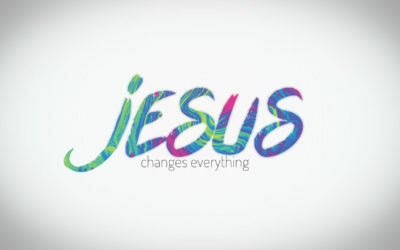 Jesus is Lord| Part 15 of our series Jesus Changes Everything - A study in Luke | September 16, 2018 | Pastor Brian Fox | In this message Pastor Brian continues our study out of Luke 8. When hope comes walking by grab hold of it and never let go. Jesus is Lord| Part 15 of our series Jesus Changes Everything - A study in Luke | September 9, 2018 | Pastor Brian Fox | In this message Pastor Brian continues our study out of Luke 8. God is still in the miracle business- and can raise to life things that are dead. 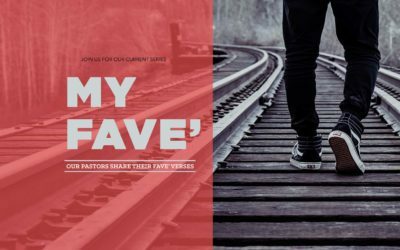 Part 4 of our series My Fave' - A series where our Leaders share their favorite verses of 2018 | July 29, 2018 |Jorge Armenta, Martha-Dale Lesmes and Pastor Rebecca Fox share their favorite verses.